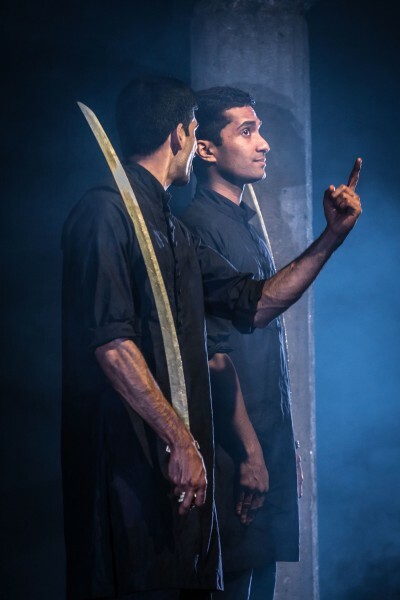 We met up with Danny Ashok who plays Humayun in Guards at the Taj to ask him about his experiences of the play and preparing for it. What attracted you to Guards at the Taj as an actor? I think with any piece of work you look at various things that could interest you in taking it on. I first read this play in 2015 after auditioning for a production of it in San Diego and loved it then. I was unsuccessful in getting the part on that occasion, I’m sure for a litany of reasons, and looking back on it now I actually don’t think I was ready to take it on back then. Two years later, the script lands back on my lap. Bizarrely it felt like it was meant to be and that, as an actor, I was more able and ready to take a role like this on. The prospect of working with director Jamie Lloyd really appealed to me. The chance to work on a show as a lead character gratified my own ego. And the challenge of the play being a two hander certainly made me think that it would be an experience to learn from. The fact that the show is at the Bush Theatre was also a factor as I loved working there a few years ago. In terms of the play itself, Rajiv Joseph has put together a story that would be hard for any actor to say no to. It’s hilarious and heartfelt in equal measures. 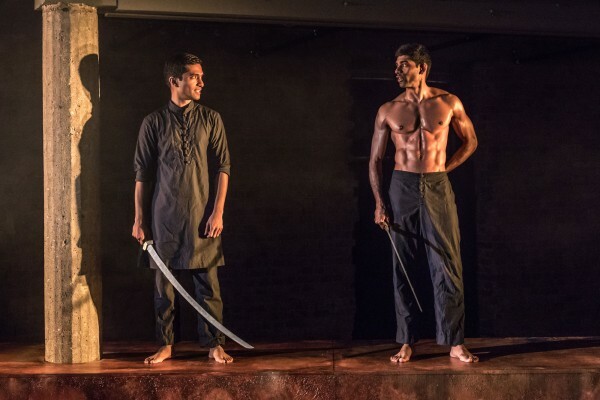 Rajiv has really achieved something special in the sense that the play covers several genres and emotions all at once but somehow doesn’t feel contrived when it drifts from one form to the other. And the prospect of conveying that to an audience and have them feel for the characters was a challenge that also appealed to me. The play deals with questions of who has the privilege to access art and beauty. Do you feel that these themes are relevant in today’s modern world? For sure. I suppose an easy example to go to would be that of theatre itself. I have plenty of friends who don’t go to the theatre because they feel like it’s inaccessible and simply out of reach and that may be down to the content of the shows or the price of tickets etc. 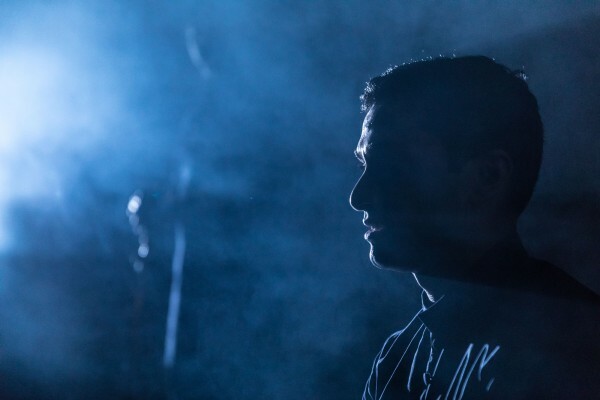 It’s one of the reasons why it’s so important that a play as good as Guards is on at the Bush; it removes the stigma of it only being for a privileged audience and opens it up to people who normally wouldn’t think it their ‘thing’ to go see a play like this. Does dealing with historical context in theatre change the way you approach a role? Yes and no. On one hand the historical aspect and setting of a play may very well dictate the actions and attitudes of your character but at the same time with any part you are striving to find the humanity of the character first. You need to connect to them as people and find the similarities and/or differences from you as a person and that in turn ultimately helps you connect to the character. I can’t say that I have any step by step guide on how I prepare for a role but, as mentioned above, finding something to connect myself with the character is always an important thing to me and allows me to find some level of truth and understanding with what the character does. Another thing I ensure is that I have an open mind during the rehearsal process. It’s about collaborating, having fun, playing with different ideas and working together to tell the story as it deserves to be told. 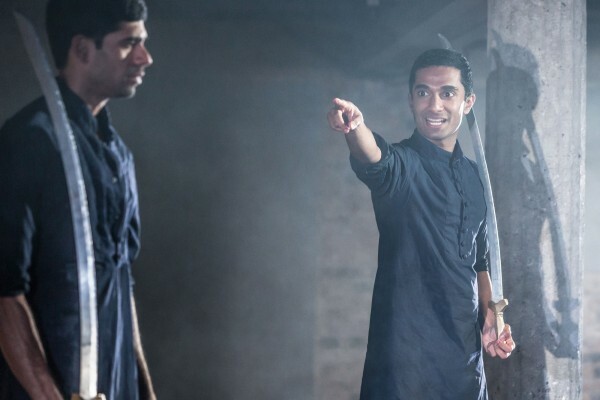 Guards at the Taj by Rajiv Joseph and directed by Jamie Lloyd is playing at the Bush Theatre until 20 May 2017. Find out more and book tickets here. 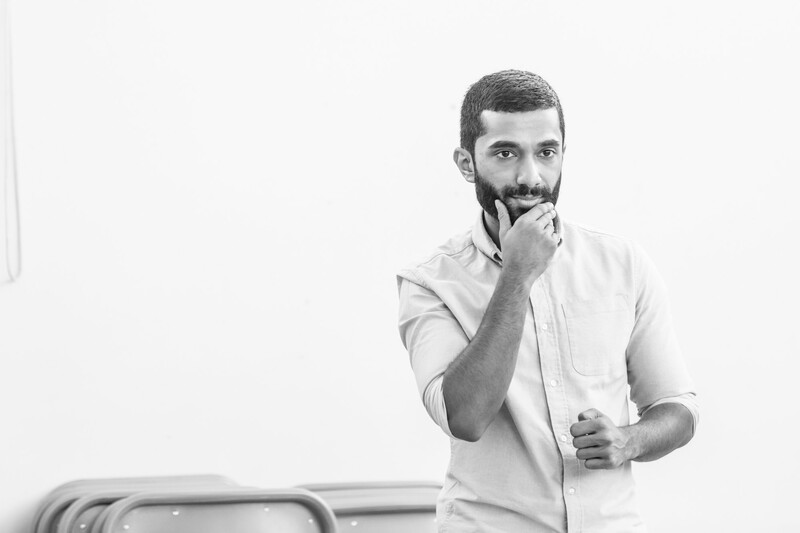 Production and rehearsal photos for Guards at the Taj by Marc Brenner.